How “Improved” Really Is Our Fly Fishing Gear? Question: There is a steady stream of “new” gear—as new rods, reels, packs, boots, etc.—that hits the market every year. “Improved,” “re-engineered,” or other such similar tags accompany the new products. My question is… do these products represent real advancement or just minor tweaks and new packaging? Are there products that really don’t change? 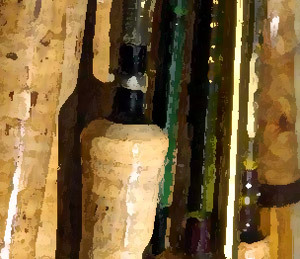 What are the rods, reels, lines or other gear that have been so fundamentally good that the manufacturers just left them alone and they have stood the test of time? Answer: The quest for better, faster, stronger, thinner, lighter gear is an ongoing project, and manufacturers’ marketing departments demand that product developers launch new products every year. But how much if this stuff is new for new’s sake? And how much is actually better than what it replaces? I threw the question out to some of my gray-haired pals, who could offer at least a couple decades’ worth of perspective. Here’s what they had to say. Jim Babb, editor of Gray’s Sporting Journal: Pick up a good rod from your 1970s era and cast it as far as you can, and then pick up its correspondent in weight and length and see how much farther you can cast. My average, for an 8-weight, was 15 feet. Not much for 35 years and $600. Ghink is the same. Split-shot are the same (though more or less nontoxic now). And don’t forget red-tin Mucilin. I’m still using (for line floatant and for big heavy dry-fly floatant, especially deer-hair) a tin I bought in 1964. And they still make it, unchanged, although the new tins appear to be plastic, and I’m guessing the applicator (made of lambskin with the wool on, the leather being died a lovely crimson) has been downgraded for these horribly cost-conscious times. Gordon Wickstrom, author of Late in an Angler’s Life and all-around skeptic: I can think of nothing material that has been substantively improved for the angler in the past fifty years, except his waders. Harry Murray, owner of Murray’s Fly Shop and noted author: My feeling on tackle is “If it is not broken, don’t fix it.” A very large part of my trout fishing is with the Scott G2 rods, from an old 1-weight up to a 7-weight. I just haven’t found a “new” one I like as well. John Merwin, fishing editor of Field & Stream: Old-style Hardy reels like the LRH and Princess are still clicking away faithfully, and the dime-store nail clippers I used to use for trimming lines and knots still work well-and cheaply. While fly-rod materials and actions continue to escalate in sophistication and price, the original Fenwick HMG graphite rods are still being made and cast quite well, much as the late Jim Green designed them back in the 1970s. Hard to believe that was 30-some years ago. Plain old tropical-weight cotton fishing shirts are another one–after trying many newer synthetics, I find myself tending back to lightweight cotton for warm-weather comfort. Your question invites a note on what has changed in that interval, as well. The rapid flow of information—by Internet—is foremost and most significant. The new large-arbor reels have been important, along with the radically increased strength of fine-diameter tippet materials that allow us to efficiently catch larger fish with smaller flies. Gore-Tex outerwear is a lot more comfortable that the rubber-and-canvas gear I used to wear in the rain. Paul Schullery, author of American Fly Fishing and many other books: I think that old guys wonder about this all the time. The same is arguably even more true of fly reels. Since the development of the upright, ventilated fly reels of the late 1800s, isn’t it all just finer and finer engineering and machining? So for more than a century now, with rods, reels, lines, and leaders, the improvements have led to substantial gains in the practical range of fly fishing on both the extremely light and extremely heavy ends of the spectrum (though it must be said that we have underestimated our ancestors and forgotten how adventurous and versatile they could be, and how hefty their tackle actually was). I guess you could argue the same tweaking perspective for lines, too, which keep getting more versatile but are still cast pretty much the same ways and still perform the same functions. Pretty much everything else seems to follow the same course, though breathable waders sure seem like a kind of breakthrough, even if they won’t stabilize at one “perfected” kind; I imagine the manufacturers keep tinkering with them, don’t they? Then there are flies. People now and then invent a great and enduring fly, and though other tiers will create many variants on it, the original may continue to do the job just as well. The Adams seems to have been in good part replaced by the Parachute Adams, but the original is still one of the all-time great flies. The same is certainly true of the Hare’s Ear Nymph and the Pheasant Tail Nymph, which continue to mutate and sprout new appendages whether they are really an improvement on a great original or not. More recently, the Stimulator has had many offspring but the original seems to go on too. Maybe the real question isn’t whether the great new things endured. The real question may be whether or not they needed to change the way they have. I know a number of fishermen who are much better at it than I (not saying much, perhaps) who could fish brilliantly and with enviable success with half a dozen fifty-year-old patterns, and not do all that much better, if any, using all the offspring of those six patterns. But we seem to enjoy the next new thing so much that contentment with a few great old things isn’t really in the cards. But it’s not the great old things’ fault that we abandon them. Anonymous, an industry insider: Over the past 20 years I’ve seen dramatic improvement in very few things. Toughened epoxy resins have made rods considerably more durable. More imaginative use of graphite materials (weaves, carbon scrim, multiple-moduli layups) have done the same. Reverse engineering has pretty much leveled the playing field when it comes to rod design, at least to the point where there are few truly bad rods. Breathable wader fabrics are an improvement over neoprene. Leader materials have gotten stronger and tougher. More reels with adjustable drags are available at reasonable prices, though I wonder how many anglers really need them. GSP backing for big bluewater fish. Hooks are better but incredibly more expensive. New fly tying materials. Most of the rest, including the race to build gear so light it requires an anchor to stay on earth and more new flies than Avogadro’s number, seems to me to be mere fashion choices or the result of a need to create sales by convincing anglers that what they bought two years ago, and which is now discontinued, is no longer any good. OK, what’s stood the test of time? Good rods. I’ve been fishing a lot of glass lately for trout and will do so for winter steelhead as an experiment. While it’s heavier, I hardly notice the difference. And my 1985 vintage Scott G rods are still excellent performers. Then there’s a friend’s Sage 389 LL. And a Winston 9 ft pre IM6 6 weight. And of course there’s the 1947 E.C. Powell 9 ft, B Taper 4 3/8 oz trout rod that I inherited from my father that’s as good a fly rod as I’ve ever cast. Good reels. Hardy Lightweights, St Georges and Perfect reels. Same with CFOs and a handful of other brands. And of course Abel and Tibor/Billy Pate saltwater reels seem to have stood the test of time. Fly lines. OK, we’ve seen improvements, and there’s now more variety than on the menu of a Chinese lunch room, but a Cortland 444 DT4 that I stored 20 years ago and just found again casts and fishes just fine. And I still fish shooting heads I’ve had for 30 years. Dacron backing. Damn few of us need GSP for anything. I seriously doubt many of us would be seriously disadvantaged were we asked to fish with what was available in 1990. Or 1985. Or 1965 for that matter, though I have to say I would miss 5X tippet with a breaking strength of 5 lbs.